Doctolib is an online booking platform and management software provider for doctors in Europe working with 65 000 health practitioners, present in 1 300 health facilities. 25 million patients visit Doctolib website and mobile app every month. For doctors, Doctolib is a full-range service to improve bookings management, reduce no-show and bring new patients to your office. 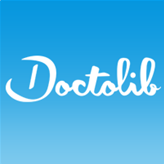 For patients, Doctolib is a free online service to find a nearby health practitioner and book doctor or dentist appointments 24/24 and 7/7 within a few clicks. You are developer by heart but also interested in managing people? You are experienced in frontend and backend developing? You’ve already successfully managed small or mid sized teams? You’re looking for something that has a positive impact on the lives of millions of people? Then join us to revolutionize the healthcare sector!Doctolib is looking for an engineering manager to join its growing and dynamic technical team in order to keep offering an amazing service to doctors and patients. We’re a french-german company with more than 700 people and more than 100 are working in the tech team which is distributed in our HQs in Paris and Berlin. (iii) What do we offer? A team of 700 amazing people, passionate about a common projectAn agile product development environment and an international teamA tailor fit ramp-up programm for your role with more than 30 sessionsTime and budget for self-development: participation in conferences such as EuRuKo Conf & ReactEurope; free time dedicated to preparing talks for meetups and conferencesA management academy to support you in improving your managing capabilitiesExchange programm between Berlin and Paris to foster a strong collaboration between the technology centersGreat office in the heart of Berlin!A few DoctoParties, DoctoMonthly Meetings, DoctoBeers, DoctoWeek-ends..The opportunity to revolutionize a whole industry! The job is located in Berlin! Want to get notified about new jobs at Doctolib GmbH?